Banyana to play friendlies in honour of Ma Winnie, Ma Sisulu - SABC News - Breaking news, special reports, world, business, sport coverage of all South African current events. Africa's news leader. Banyana's match against the Netherlands at the Cape Town Stadium on Saturday will be called the Winnie Mandela Challenge and their other international friendly against Sweden at the same venue next Tuesday will be called the Albertina Sisulu Challenge. Things are just going from strength to strength for Banyana Banyana. They have already made it to their first ever Women’s World Cup in France in June and now they will also be playing two friendlies in the Mother City in honour of two icons, Mama Winnie Mandela and Mama Albertina Sisulu. Banyana’s match against the Netherlands at the Cape Town Stadium on Saturday will be called the Winnie Mandela Challenge. Their other international friendly against Sweden at the same venue next Tuesday will be called the Albertina Sisulu Challenge. President of SAFA Danny Jordaan says that the challenges are to honour the Mandela and the Sisulu families. Minister of International Relations and Cooperation Lindiwe Sisulu says both the Netherlands and Sweden played an instrumental role in providing support to South Africa during the struggle. 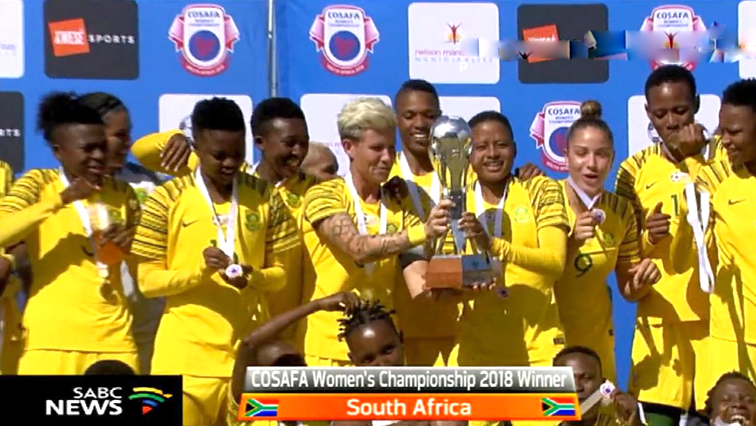 Banyana are riding the crest of the wave as a team, with their coach and players getting accolades throughout Africa which will hopefully help inspire millions of girls to take up the game and firmly put South Africa on the footballing map. Jordaan says that both games will help Banyana prepare for the Women’s World Cup. Zondwa Mandela of the Mandela Legacy says that they hope these challenges will create awareness and support for Banyana. Although in their off season, the friendlies will be wonderful preparation for Desiree Ellis and her squad before the World Cup that starts on the seventh of June in France. This entry was posted on 15 Jan 2019,09:52PM at 9:52 PM and is filed under Sport, News, Homepage Featured Story Slider. You can follow any responses to this entry through the RSS 2.0 feed. Both comments and pings are currently closed.